The SampleRadar vault is stuffed full of high-quality, royalty-free samples, and every Friday, we're opening it up, picking out a choice selection and letting you download them. 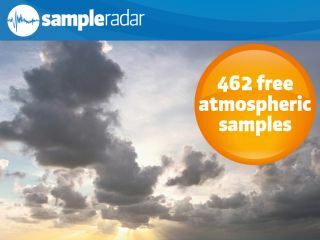 This week, we're stepping off the music genre merry-go-round to bring you a wide selection of atmospheric samples. These sounds can be used to add interest to an existing track or, if you're feeling particularly experimental, serve as the basis for a new one. The samples are split into 11 categories: Dark, Earoh, Harmoneutic, Light, Orgonite, OutSect, Pads, ReAtmos, Sweepa, SynAtmos and Textures. All the samples are supplied as WAV files so can be imported directly into your DAW of choice. Because they're royalty-free, you're welcome to use them in your music in any way you like - all we ask is that you don't re-distribute them. The atmospheric samples are supplied in two zip files, so you'll need to extract them before you can see them. Enjoy!